Nifty Eats — New way of living through food, fitness and fun! Look what I found today at my local Dollar Tree. I’ve known they had a frozen section, but figured it was all junk food…Guess not! No more spending three dollars or more on tiny bags of fruit for my morning smoothies. I also found bags of frozen vegetables for quick meals. Some nights, after coming home from the gym, I have no energy or desire to spend hours in the kitchen. 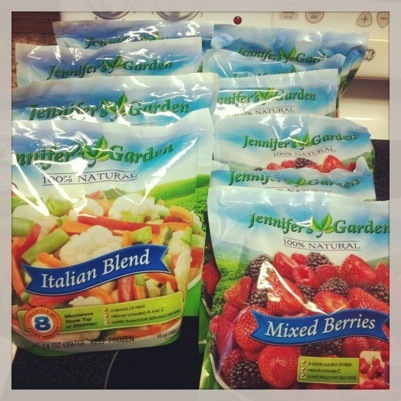 The brand is “Jennifer’s Garden” 100% natural. I steamed a cup of these veggies tonight…turned out nicely with my grilled chicken. Now, tomorrow I’ll grocery shop for my fresh produce & meats! How do practice living healthy on a budget? 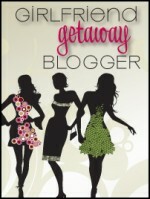 Where’d My Blog Mojo Go? I do miss my blends & try to keep in touch through twitter & other social media networks. Sometimes, I think about deleting this blog…anyone out there??? However, sitting and reminiscing brings back all the good times & fun experiences associated with this blog. I got engaged Christmas morning 2011 & have been planning since. The big day is coming this May! Also, I lost my precious furbaby later in the year which was hard for us. Missy was diagnosed with cancer & our time was cut short with her. I am an animal lover & I had Missy since she was 8 weeks…9 joyful years of puppy kisses! Still missing her today. Working on my fitness, up & downs of losing/gaining. Sadly, it’s back to Square two, I refuse to say one b/c my fitness level is not that bad. I’m still doing FitCamp, a group fitness camp and tracking with Weight Watchers…again. Also, using MyFitnessPal and Sparkpeople for fitness. Maybe I’ll cook some more nifty recipes or just do fitness & fun; debating on what direction to go with the little blog. Until then I’ll just update mainly on fitness and having fun! Hi friends, I’ve returned to blog! First I’d like to talk about some new challenges for June! 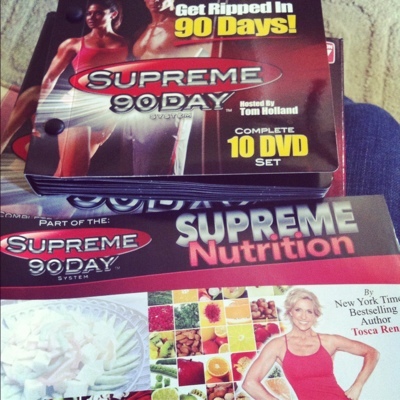 I saw a special online for Supreme 90 Workout for ($8.99 the set comes with 10 dvds and a nutritional menu by Tosca Reno)! Another blogger friend, had great results after completing it in 30 days. I’m aiming for the full 90 days while incorporating Zumba in the mix! One thing I like is this program requires dumbbells and a ball. I’m working on getting heavier dumbbells this weekend. I plan on using 10 or 15 pound weights. I’m nervous and still debating about posting weight & results but I know I need to stay motivated and accountable. As for the nutrition plan, it’s all clean eating recipes so I will combine it while following the Points Plus Program. I’ve recently started Weight Watchers again. Learning portion control took forever but during my maintenance stage of weight loss, I slipped back into old habits. Which has brought me back to semi-starting over in reaching my goal weight. Day 1 of Supreme 90 workout will start this Sunday! Has anyone done a similar program such as P90X, Turbo Jam, Insanity, 30 Day Shred? What were your results, did you enjoy this type of challenge and home workout? Here I go again….I took a long hiatus from the blogging world. Work and every day life seemed to keep me busy. I made excuses not to blog, just read other blogs and twitter everyday. Newly engaged and trying to plan a wedding! 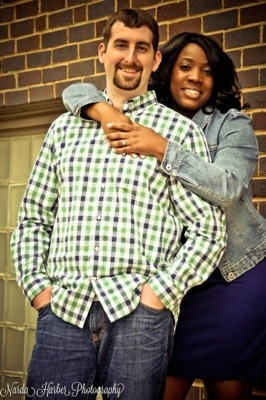 The engagement happened on Christmas day….big surprise! 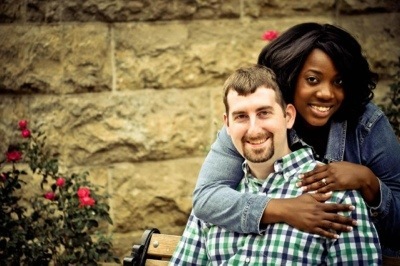 I hope to share more info later with my readers as we move forward on wedding planning! I took a break from Fit Camp…big mistake because I enjoyed the holidays too much. Now, I’m recovering and trying to maintain some of the weight I lost but also continue to reach my weight loss goal! Meaning I’m not at my half-way mark anymore. Sigh* What’s really upsetting is that lean muscle I had…feels like jello now. I do feel I’m a fitness beginner all over again…but I’ll stay positive and succeed! This situation brings me back to making more fitness goals and continuous clean eating; plus cooking more meals at home. What’s new in your neck of the woods? Anyone starting over with fitness or making new healthy goals?